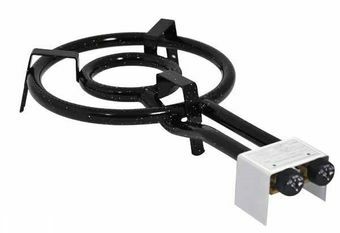 With this two-ring gas burner you can heat paella pans, pots, cauldrons and stills, and regulate the two rings independently of each other. 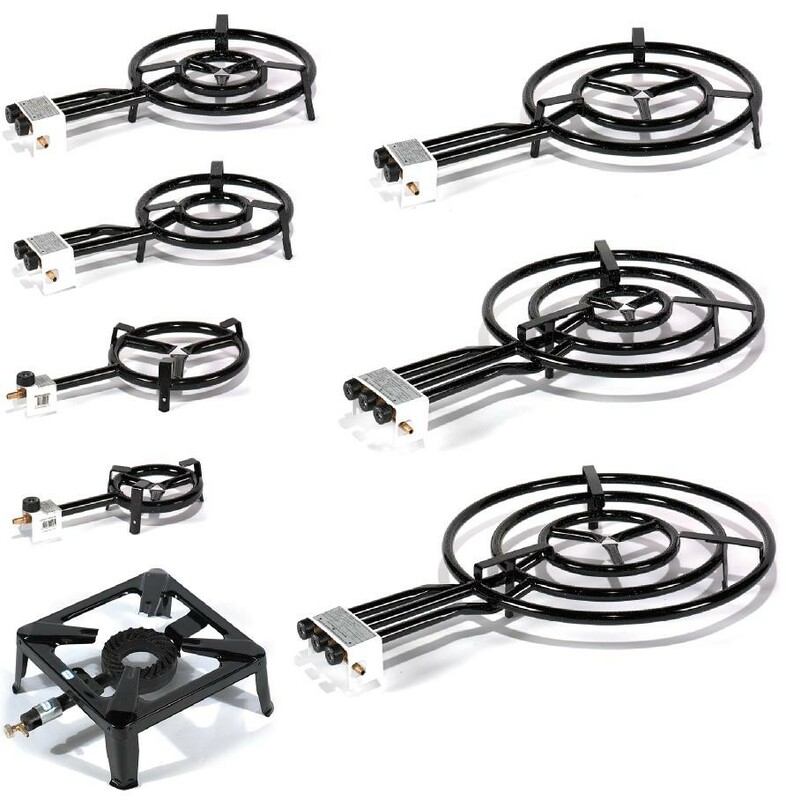 Small stills can be easily used on a normal kitchen stove. 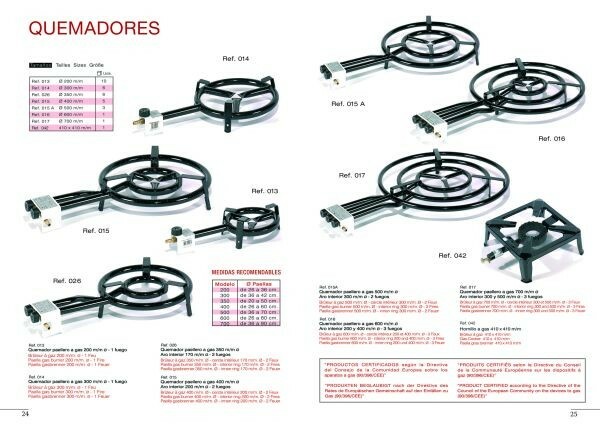 However, larger stills, pots or paella pans need a proper fire - or a large gas burner like this two-ring, 35 cm gas burner. 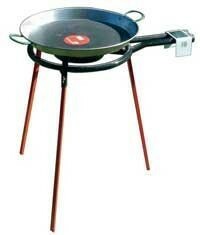 It is ideally suitable for all paella pans from 35 cm to 45 cm. 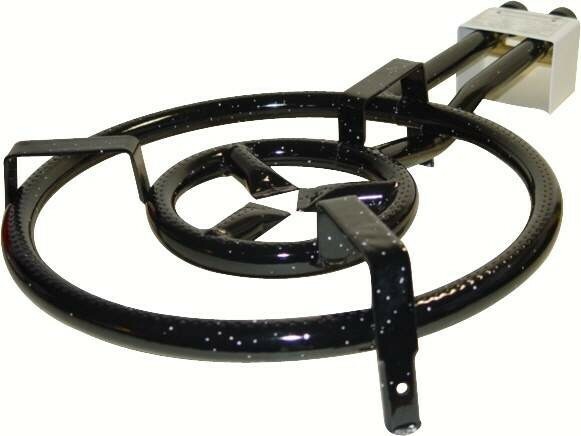 This ring burner has two differently sized burner rings which can be independently regulated, and turned off when necessary. If you only use the inner ring, a larger burner can also be used for small stills or for cooking with smaller pots. 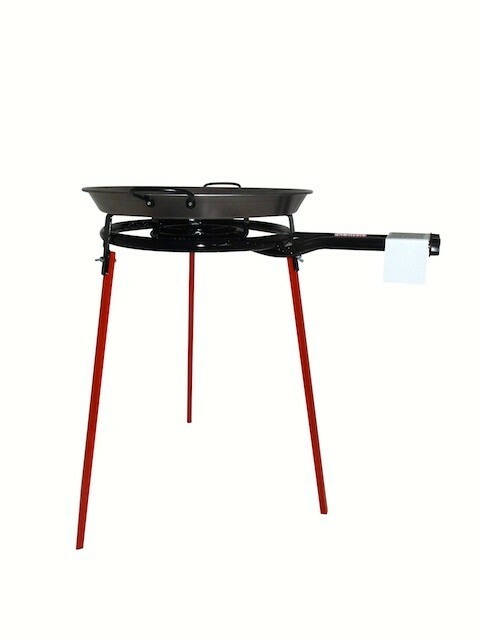 A further advantage of this Spanish paella burner is the big flame which evenly spreads the heat over a wide area. 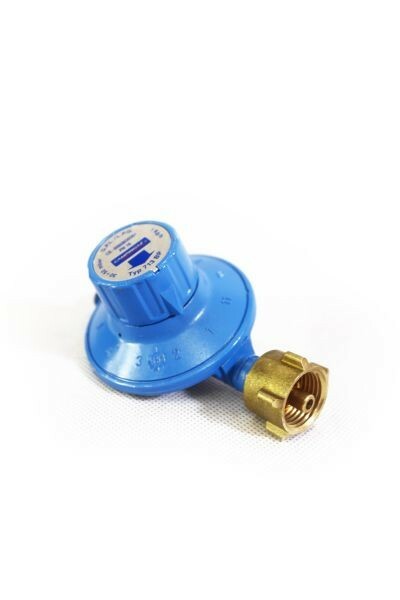 Please note that we can supply different gas connections and can normally deliver the appropriate connectors for the country of delivery. 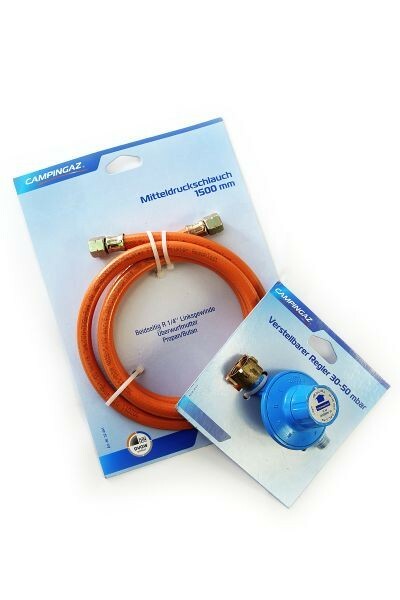 For shipments within Germany we deliver the appropriate connector for the gas hose which is normally used in Germany / Austria.